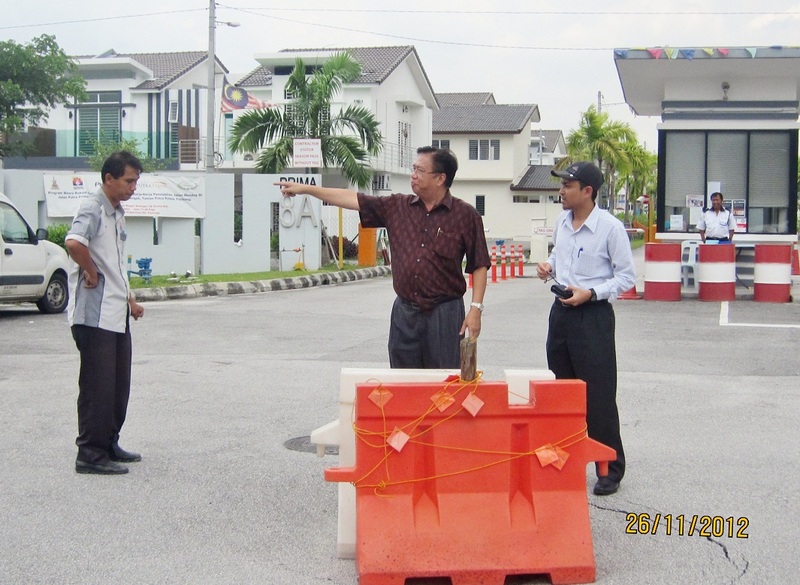 The RA chairman had notified the contractor, Consultant Engineer Ikram, and Pengarah Kejuruteraan MPSepang this morning, Majlis technicians visited the scene immediately after receiving notification from the chairman. 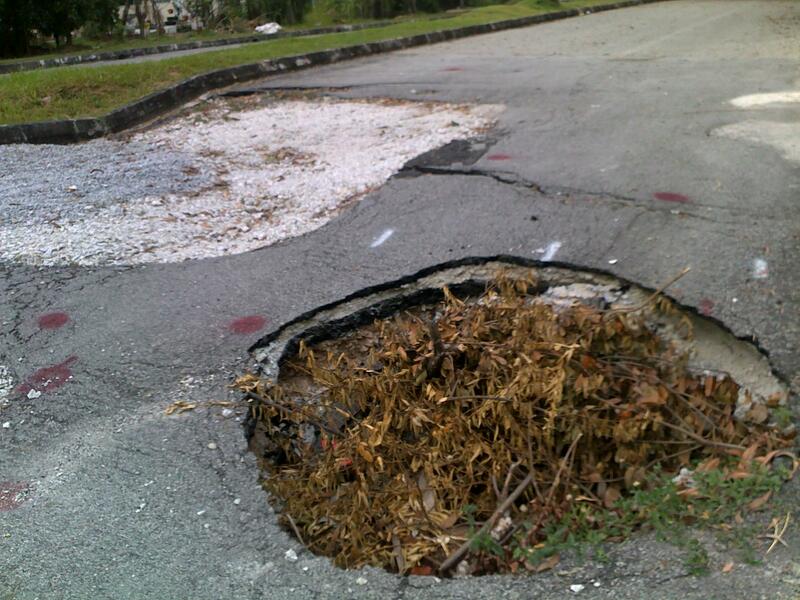 More commonly, sinkholes occur in urban areas due to water main breaks or sewer collapses when old pipes give way. They can also occur from the overpumping and extraction of groundwater and subsurface fluids. They can also form when natural water-drainage patterns are changed and new water-diversion systems are developed. 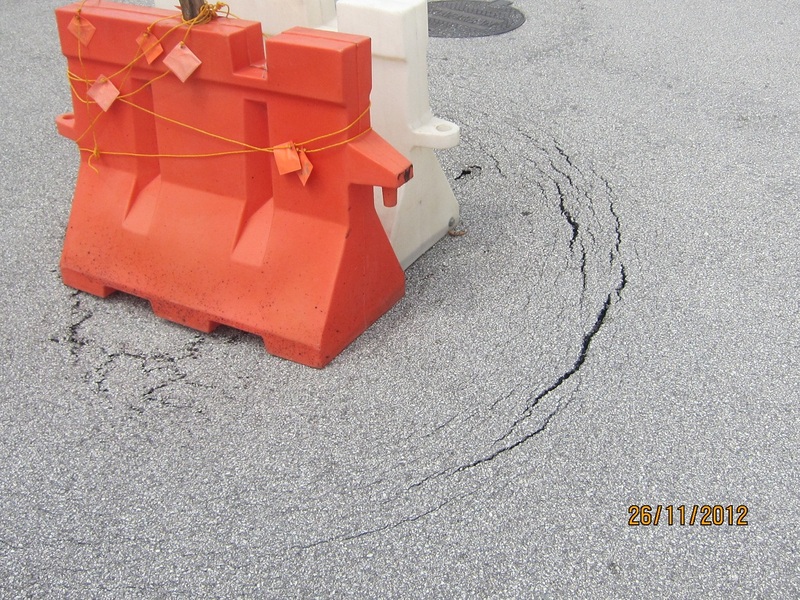 Some sinkholes form when the land surface is changed, such as when industrial and runoff-storage ponds are created; the substantial weight of the new material can trigger an underground collapse of supporting material, thus, causing a sinkhole. Concentration of water flow – stormwater drains, swales, etc. 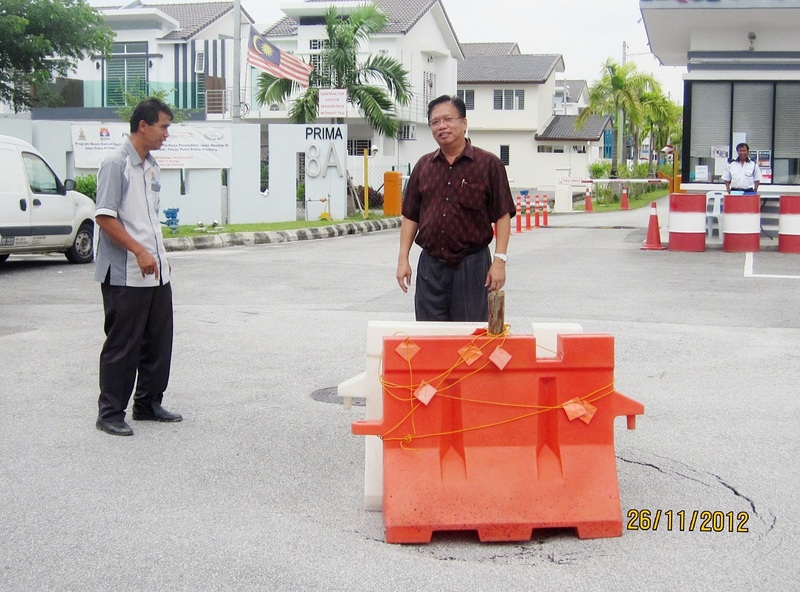 From several sources of literature and facts finding, it is evidently that our stretch of road (Jalan Putra Prima Utara) facing the water retention basin (artificial pond) was more vulnerable to the occurrence of sinkhole especially after the year-end monsoon rainy season. No one in PP8A can ignore or free from the imminent danger, I am requesting a thorough soil investigation report from the consulting engineer Ikram with the help from the Pengarah Kejuruteraan of MPSepang. This matter can not be taken lightly. The price is too heavy to pay by any one if something fatal happened like what Chew HC had warned. 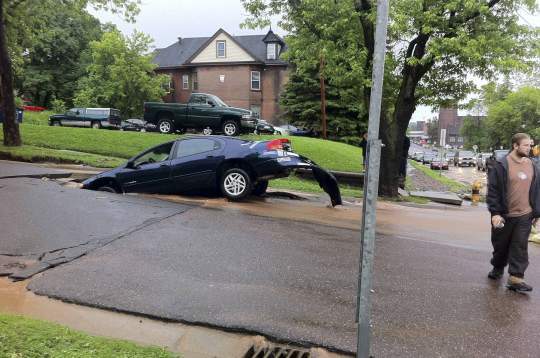 The whole car could had been “swallowed” into the sinkhole. 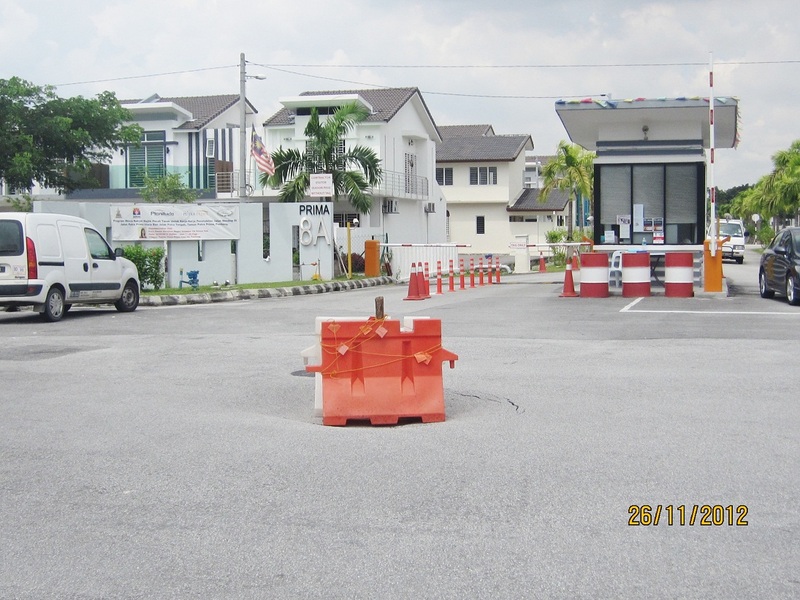 This maybe too dangerous to PP8A residents who use the road everyday. We don’t know what is happening beneath the ground. 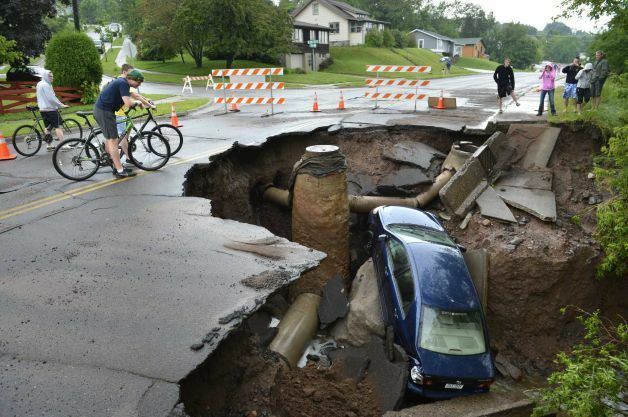 It could be just a small hole or a big one to swallow the whole car. Thanks to Chairman for bringing this issue to the respective PIC. Wondering if the work includes covering the whole road until the shoplots as can see part of side of the road leading and leaving our taman actually lower than the middle part of the road. Suspect it is sinking as well. Thanks to our chairman for informing the contractor for looking into the sinkhole.